American psychologists have voted overwhelmingly against helping their government torture people. In an even more radical step, the psychologists voted to obey international law, even in instances where US law tolerates war crimes or crimes against humanity. That would be really good news if there weren’t a huge exception: the psychologists also voted that it would be all right for them to take part in “constitutional” interrogations by federal, state, and local law enforcement in the US. Given the ragged history of US law enforcement, this is a loophole that could at any moment become another noose. Soon after September 11, 2001, a number of rogue psychologists, acting with the covert connivance of APA leadership, started shaping and participating in the interrogation regimes and torture programs at Guantanamo, Abu Ghraib, Bagram Air Force base, CIA black sites, and all the other locations where Bush administration officials claimed that the best way to get reliable information from prisoners (including those who knew nothing) was to humiliate and break them, to make them scream and bleed. As awareness grew of the psychologist/Bush administration collusion in torturing prisoners and lying about it, resistance to this unprincipled behavior slowly emerged, led by, among others, Steven Reisner and Stephen Soldz. They were among the founders of the Coalition for an Ethical Psychology in 2006, mobilized to take psychologists out of the torture business. 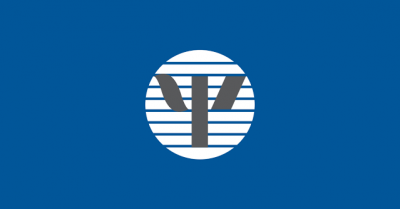 By 2008, an APA membership referendum resulted in 59 percent opposed to psychologists working in places like Guantanamo or CIA black sites (the bad news being that 41 percent thought those crimes were OK). Until this year, the APA leadership fought against any reforms, lying and denying reality for years, led by APA ethics director Stephen Behnke (removed July 8). The American Medical Association and the American Psychiatric Association have long barred their members from participating in torture sessions. By 2006, both medical profession organizations had formally prohibited their members from taking part in any CIA, military, or other Bush administration interrogations. This made cooptation of psychologists that much more attractive to an administration determined to torture people and lie about it no matter what the cost. We’re here today to reset our moral compass and ensure that our organization is headed in the right direction. As I said on Wednesday, I believe in psychologists’ capacity to make the world a better place. We’re here today to decide how to do that. What just happened is that after nine years of collusion and deceit between the American Psychological Association and the Department of Defense and the Bush administration, after nine years of what has now become a major scandal,… the APA council turned that around. The APA council acknowledged that it had been led down a deceitful path, that all of our policies in the past, which claimed to uphold human rights, were shams. But today, for the first time, we passed a real policy that upholds human rights and prohibits psychologists from being involved in any way in torture, cruel, inhuman or degrading treatment, insofar as those are part of national security interrogations, in detainee conditions. This prohibition does not apply to domestic law enforcement interrogations or domestic detention settings where detainees are afforded all of the protections of the United States Constitution, including the 5th Amendment rights against self-incrimination (“Miranda” rights) and 6th Amendment rights to “effective assistance” of legal counsel. Bush administration survivors and Obama administration participants continue to fudge the definition of torture in order to justify what they’ve done or justify what they continue to do. Guantanamo is the most glaring example. Does anyone think there are no more black sites? Does anyone think there are no more renditions of prisoners to countries where there are no effective limits on torture? Does anyone think the United States is even close to conforming willingly to the standards of international law? … any act by which severe pain or suffering, whether physical or mental, is intentionally inflicted upon a person for such purposes as obtaining from him or a third person information or a confession, punishing him for an act he or a third person has committed or is suspected of having committed, or intimidating or coercing him or a third person, or for any reason based on discrimination of any kind, when such pain or suffering is inflicted by or at the instigation of or with the consent or acquiescence of a public official or other person acting in an official capacity. It does not include pain or suffering arising only from, inherent in or incidental to lawful sanctions. That’s not such a high standard, nor is it without its loopholes – what does “intentionally” really mean? – and all the same, the United States is officially unwilling to say it will abandon official savagery. Gosh, I get it. Abuse, human rights, no torture—who’s going to disagree with that? But I’m worried about second-, third-order effects, unintended consequences. So, I need to know: Does international law supersede U.S. law? Because if the answer to that is yes, this has dire negative consequences for all federal employees, particularly in the VA and the department of homeland defense. In other words, the US is comfortable being a rogue state and will continue to resist efforts to make the US conform to the same rules as most of the rest of the world. This is not an unusual view for a military official. This has been the essence of US state power since World War II. This is why the vote at the APA is only limited good news. That a dishonest organization of psychologists has decided to go straight is a fine thing. But there is no such inclination apparent at the Defense Department, at the CIA, at the White House, in any part of the American national security state. And those agencies are not likely to have great difficulty finding more psychologists to do their unprincipled bidding at a decent price. The comment by Larry James affirms, if anyone doubted it, that militarism remains the first principle of American policy. The Defense Department’s recent publication of its revised Law of War Manual reinforces that perception as it makes civilians into legitimate military targets and allows for treating reporters as spies. This has gone largely unreported (except for some whining about journalists being treated like enemies). And that helps explain why the APA vote has been widely unreported, and has been even less widely celebrated in a nation that has been morally adrift for more than thirty years.